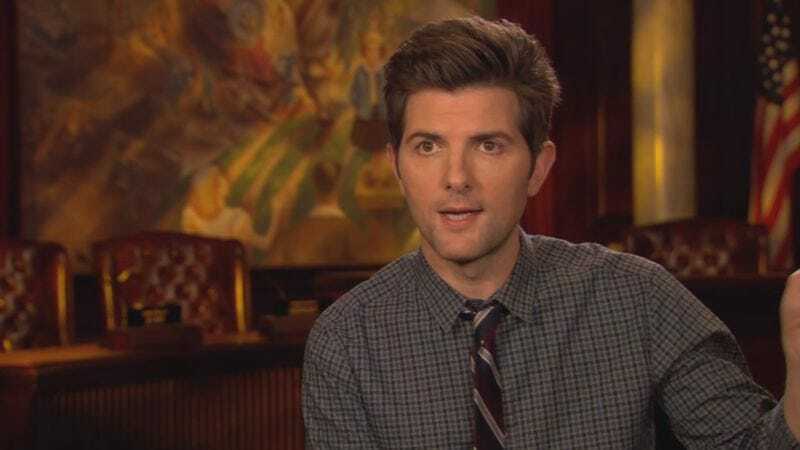 Adam Scott must be doing something right, because he’s being allowed entrance into The Good Place. Entertainment Weekly is reporting that the actor will be popping up in “multiple episodes” of the NBC afterlife sitcom, with his first appearance slated for next week’s installment on October 27. Further details on his participation are unavailable at this time, but Scott’s participation in The Good Place is hardly a surprise. The show, after all, is the creation of Michael Schur, whose previous series, Parks And Recreation, also featured Scott as a regular for most of its run. Hopefully, Scott can bring his wry, understated charms to this enterprise as well. NBC is slowly but steadily rebuilding its once-almighty Thursday night comedy block: If Superstore is the retail version of The Office, then The Good Place is the spiritual successor to Parks And Recreation. The title location—picturesque, charming, deeply flawed, and peopled by eccentrics—even feels like a supernatural equivalent of Pawnee. And Scott’s participation should only make that connection stronger. The announcement of Scott’s appearance on The Good Place comes at an interesting and pivotal time for that series. According to The A.V. Club’s Dennis Perkins, the show just graduated from good to great with its seventh episode, “The Eternal Shriek.” At the climax of that chapter of the ongoing saga, Kristen Bell’s selfish Eleanor finally admitted to godlike administrator Michael that she does not belong in the Good Place and is merely there through some technical glitch. The consequences of this action are yet to be seen. But Bell and Scott previously worked together on Veronica Mars and Party Down, so they should be able to banter awkwardly like pros by now.